Pigeon and Poodle is a company with a vision that really reflects what I have said all along. The small finishing touches in a room should be as thoughtful as all the large, important pieces. 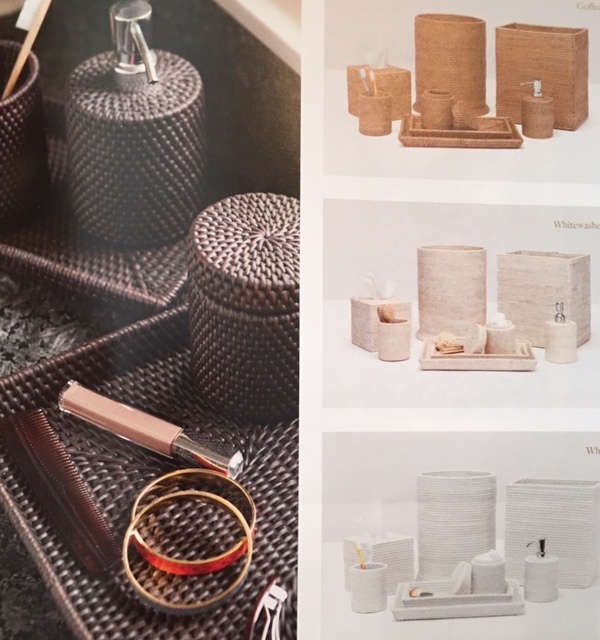 This company travels the world from the markets of Morocco to the beaches of Bali to source all the wonderful materials used in their products. 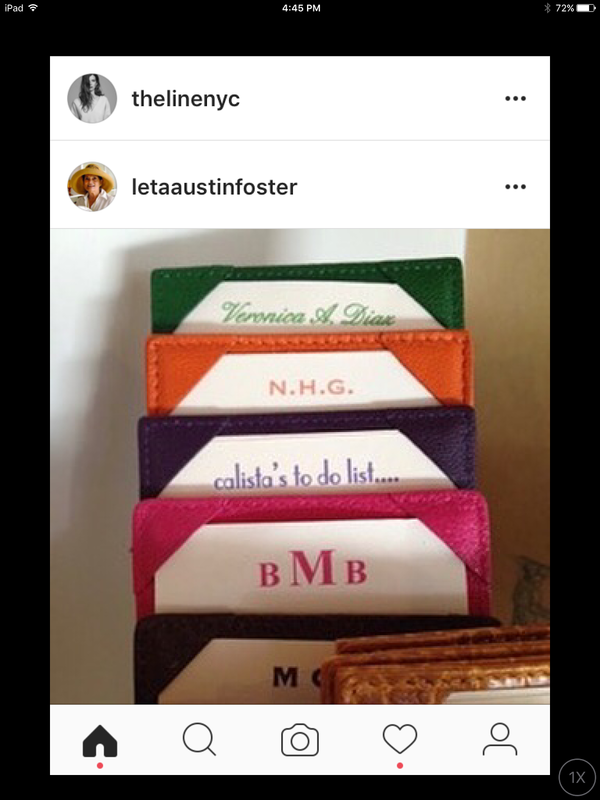 The quality of all their handmade items is superb ! 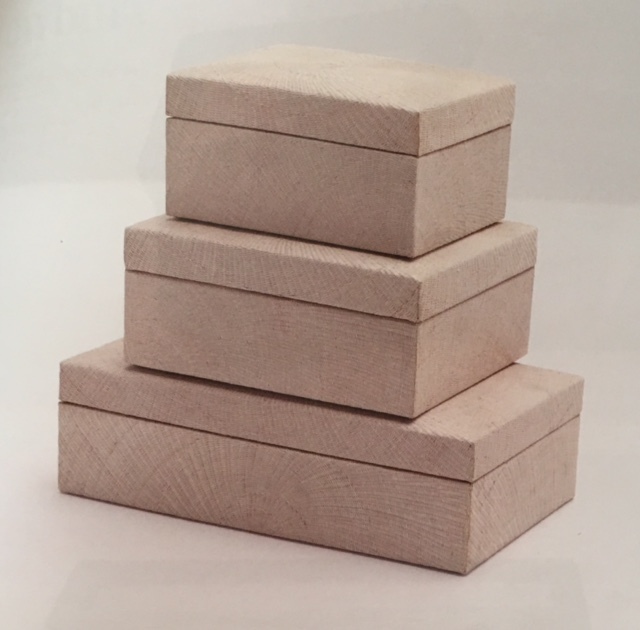 The construction and craftsmanship are as important to them as the beauty of the designs and it shows in all the small details. 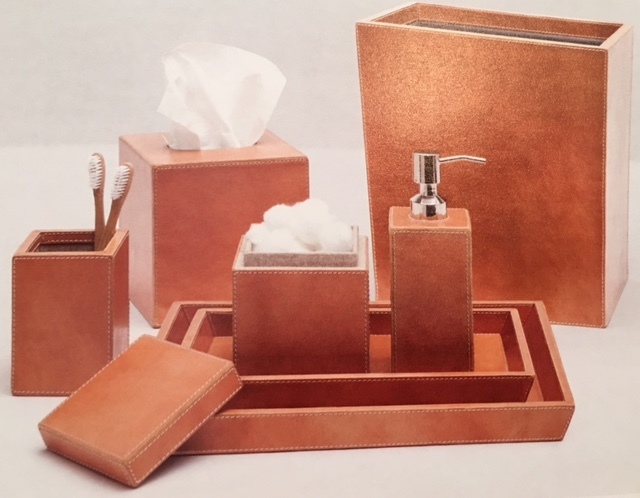 Hampton, is a sophisticated, topstitched aged camel-colored leather which adds a masculine touch to bedroom or bath. Also available in Tobacco and Storm. Hawen is cast from authentic crocodile. 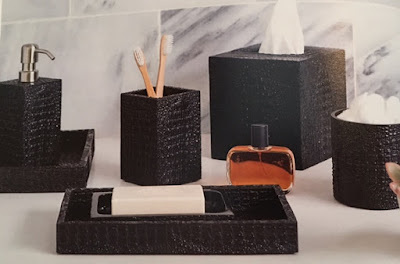 This set is available in Black or Pewter. 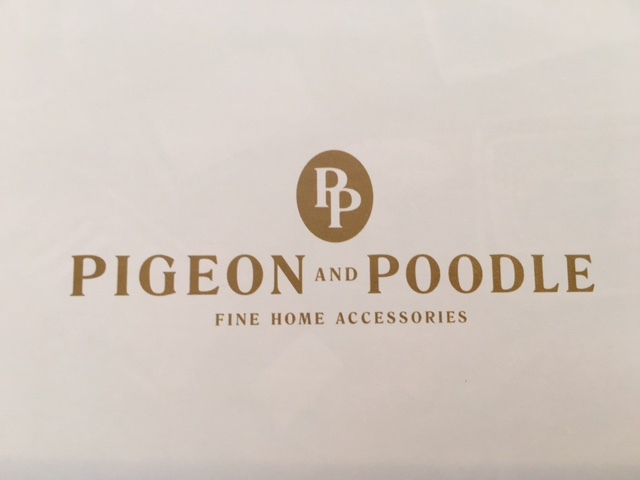 We carry quite an assortment of Pigeon and Poodle products in the Boutique, especially Bath accessories and Frames,and have some new designs on order for the upcoming season. Cannes, although it looks like tortoise shell is actually made from a Pen Shell. Dalton is naturally dyed, tightly woven rattan. It is available in Brown, Coffee, White Washed and White. The styles I've shown here are only a few of those available, so if you don't see exactly what you need for your home, please ask us to see the full collection. We can order you anything they make at any time of the year. There is no minimum order. Ghent is hand-woven raffia and comes in this one natural color. Kona is a real rattan set in resin for durability. It is available in bleached or dark brown. The style below, Manchester, is the best faux shagreen that I have ever seen. It has been a very popular texture with us and with Pigeon and Poodle as well. So much so, that they have added a total of 6 colorways to the original. 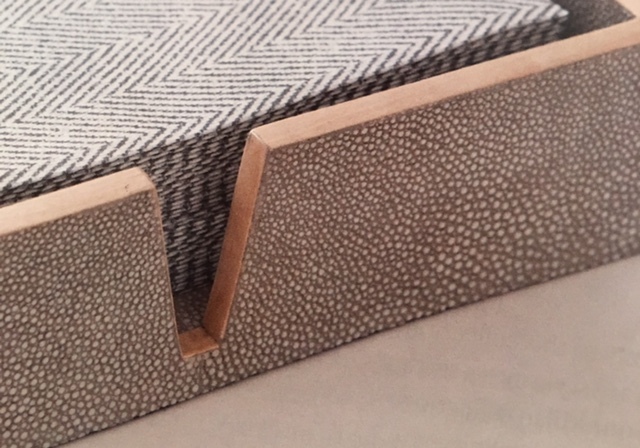 Manchester is a faux shagreen with wood veneer trim. It comes in 7 colors (Sand, Cool Gray, Ivory, Turquoise, Snow, Navy and Dark Mushroom). A close-up shot of Manchester's finish. Rhodes, with its gorgeous veining, is a black and white Nero marble. Eton leather frame comes in Tobacco, Aged Camel and Cream. Essen Frame is made from African horn and comes in Natural or Dark. 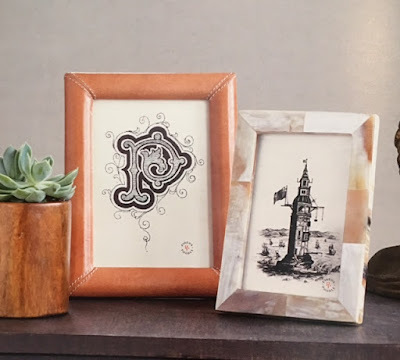 Both available in 3 sizes (4x6, 5x7, 8x10). 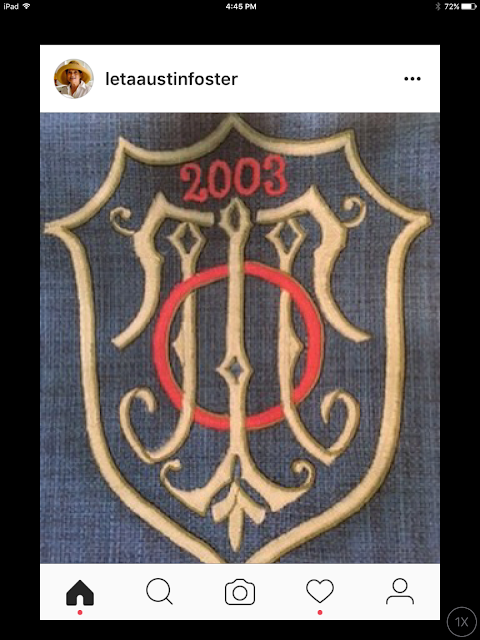 I just wanted to point out to you some of the attention to detail I was talking about. The Eton leather frame above is top-stitched at the corners much like a fine piece of luggage. You will have this frame for many years to come. Basel frame is made from Penn Shell, although it looks very much like tortoise. 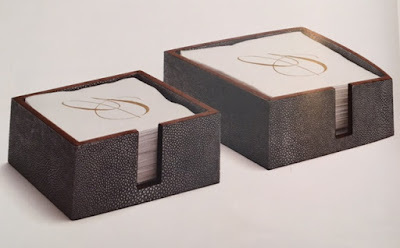 It comes is 3 sizes, 4x6, 5x7 and 8x10. 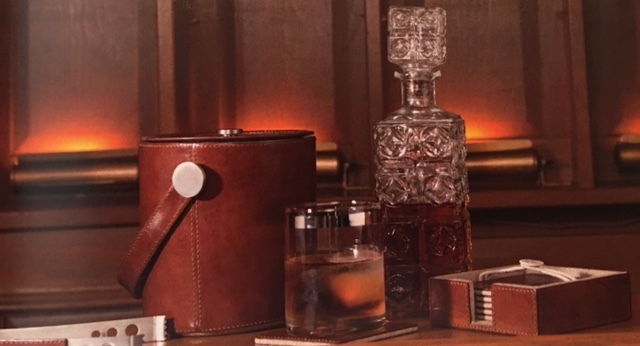 Deep Tobacco-colored leather of Bristol adds a masculine touch to your bar. 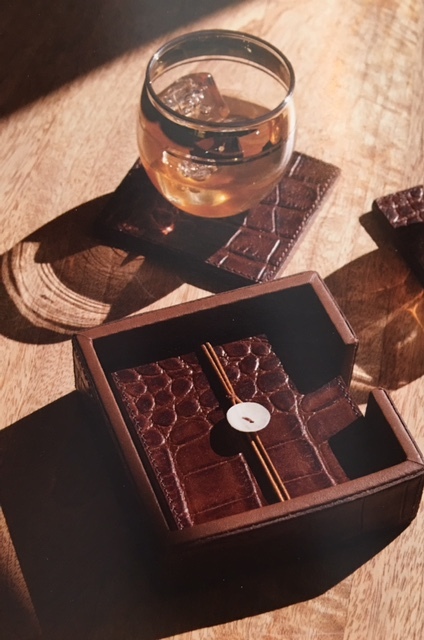 Mallow full grain leather embossed crocodile coaster set comes in brown, black or cream. 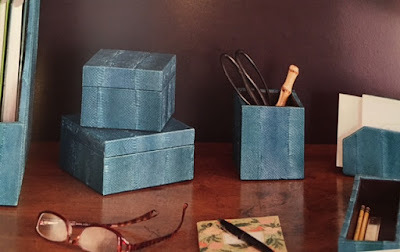 Belton shagreen napkin holders in cocktail or luncheon size. 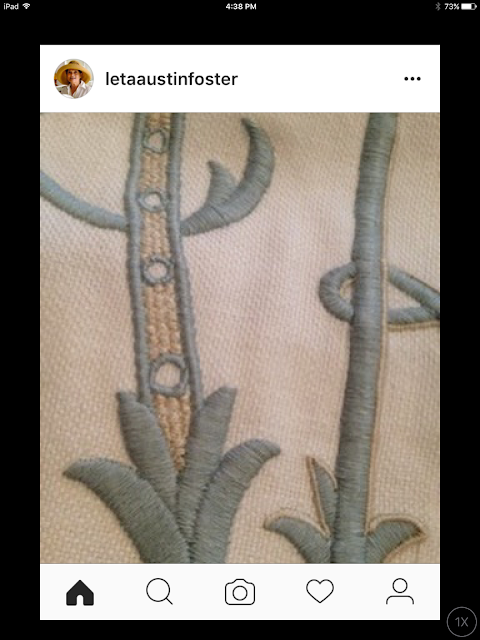 Comes in Cool Gray, Dark Mushroom, Sand, Snow and Turquoise. 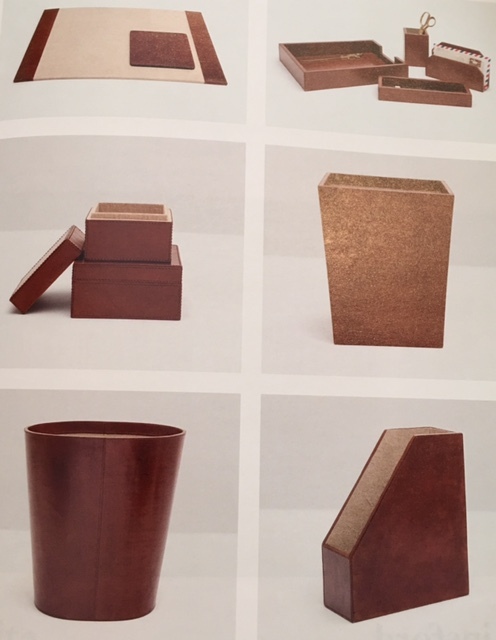 Stirling desk items come in a rich Tobacco leather. 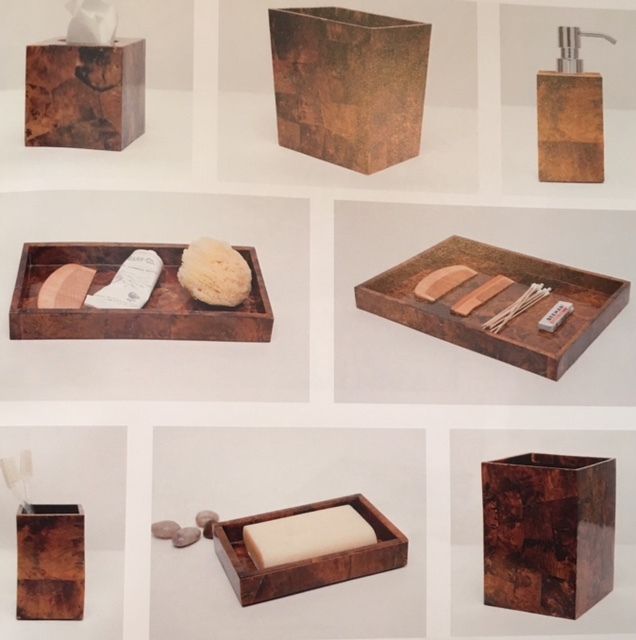 While we don't have room to stock these wonderful desk sets, we have ordered them many times for our customers. We and they have never been disappointed in the quality of Pigeon and Poodle's work. 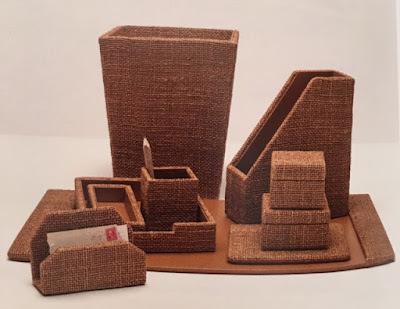 Bowen desk collection is made from brown-colored abaca mesh. 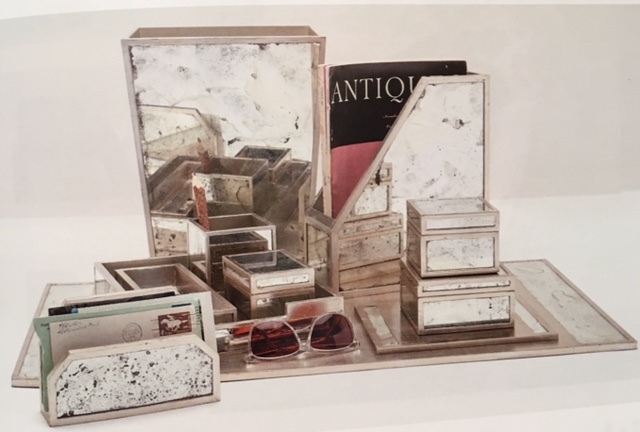 Positano antiqued mirror desk collection has silver-leaf wooden trim. Zanzibar desk collection is turquoise-dyed genuine snake skin. These large stacking baskets are a new addition to the line. 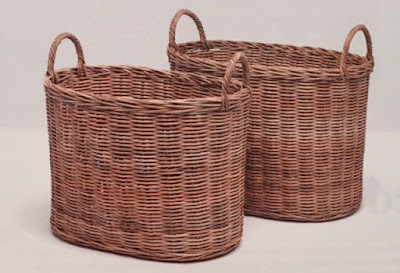 There are many other basket options that are perfect for storage in a bath or kitchen. 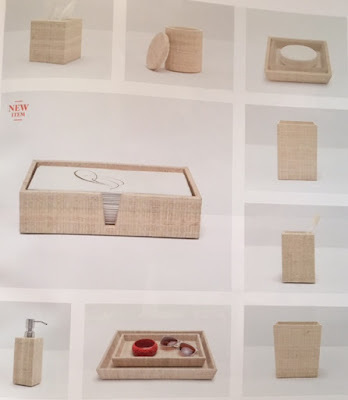 Roanne natural color baskets are made from woven jungle string which is raw rattan. 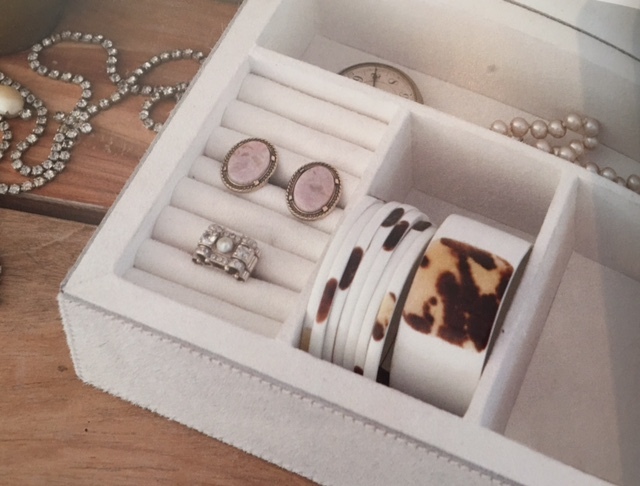 Something we are seeing more of each year, are storage boxes and other decorative accents that are made of interesting materials. 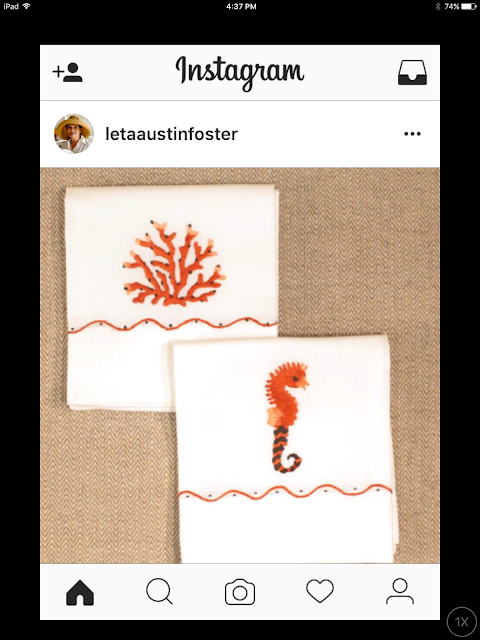 Usually, each style comes in several colorways so I'm sure you can find one just perfect for your room. Mably stacking boxes, which are made of fine woven buntal, have an interior mirror and a removable tray. They come in 3 sizes S,M,L and in Natural or Deep Teal colors. Berset jewelry box has a White Hair-on-Hide exterior and a suede interior. It is made in 2 sizes. 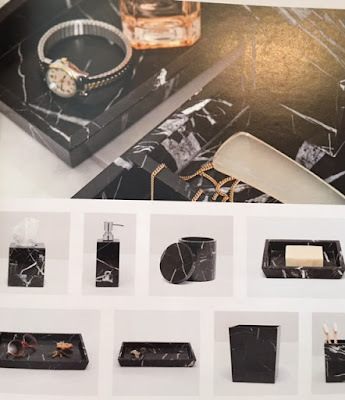 We would love to show you more, so please email or call us and we can send you some photos and prices for items that will add those perfect finishing touches on the rooms that you spent so much time, effort and love curating. 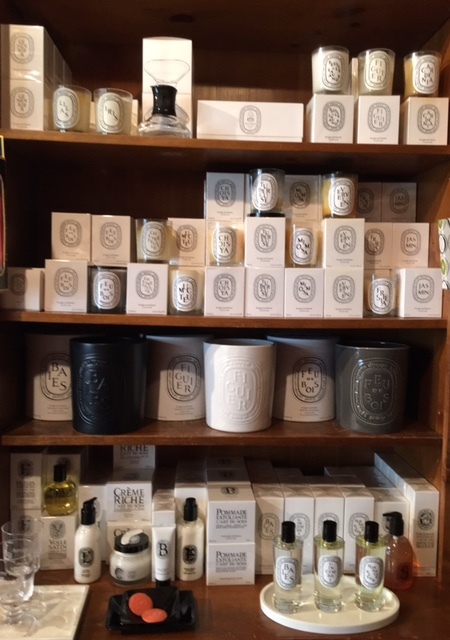 You may have purchased one of Diptyque's wonderful candles at our Boutique and because of their popularity, we have recently expanded the line. 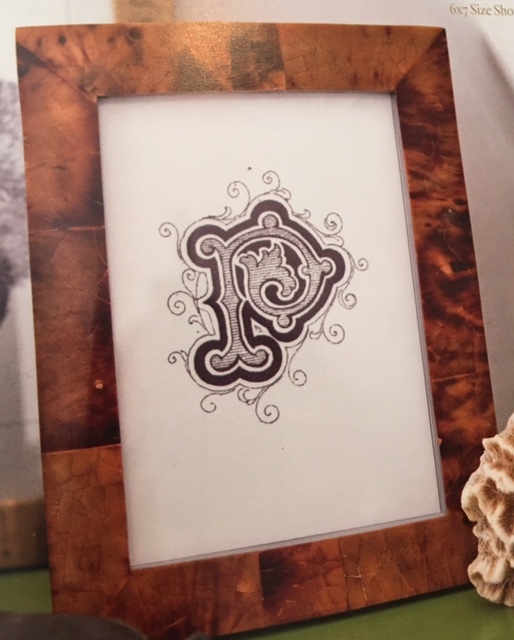 Diptyque of Paris, a shop on boulevard Saint-Germain, was brought to life in 1961 by three friends , an Interior Designer, a Painter and a Set Designer. 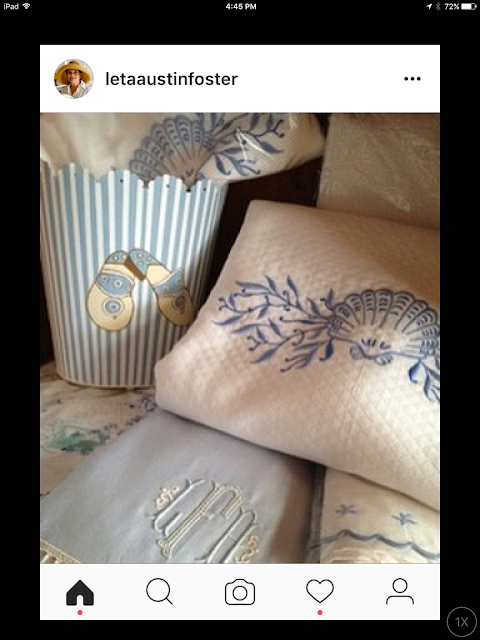 They were already involved in fabric and furniture design for Liberty and Sanderson so it was natural for them to take the next step and open their own boutique. Outdoor candles (51.3 oz) $290. At first they sold soft goods, furniture and other assorted interesting and unique items collected from their travels. It became the place to go for special items formerly not found in Paris. 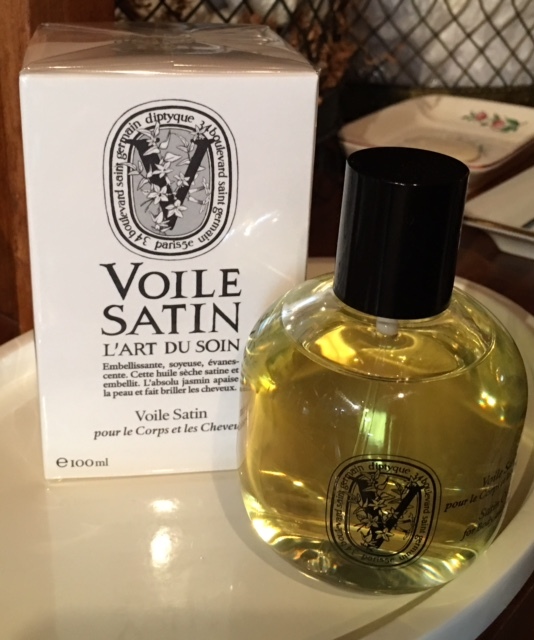 One of these unique items was English perfumes, which became so popular that the owners decided to create a range of scents of their own. In 1963 they launched a small candle line that would expand to the many popular fragrance choices that they offer today. 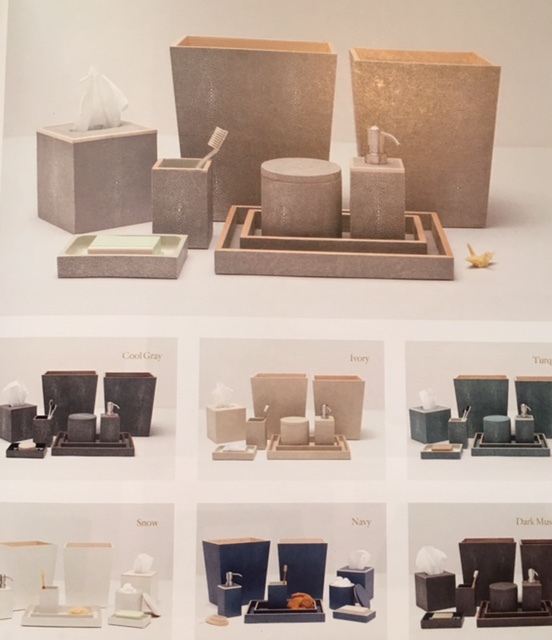 Their idea was to infuse your home with the ever-changing scents of nature according to the season so that your environment evokes the essence of that time of year. There are fruits and flowers of summer and spring, fall leaves and loamy ground scents and spicy, smoky winter aromas. 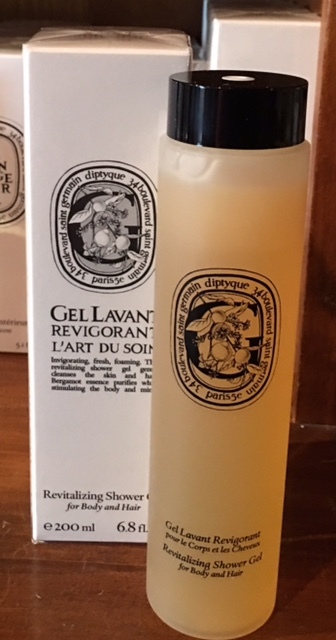 In 1968, Diptyque introduced their first eau de toilette, "L'Eau", which was meant to capture the essence of pomanders. Since then, they have added numerous scents to their personal fragrance line which is created for both men and women. 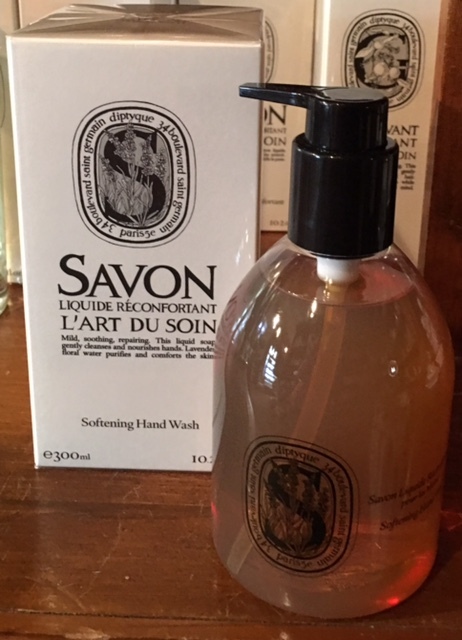 Floral Water Hand Lotion $42. Over the years that followed, other body care items were added to the collection. All of them created with natural ingredients and body soothing formulas. 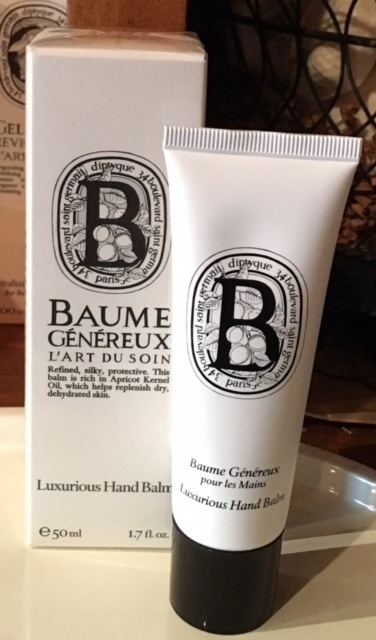 Baume Genereux is a hand balm you will keep in your purse because it is that addictive. 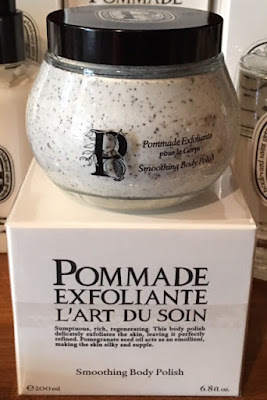 These products were created to work together to give your skin a youthful, energized appearance and most importantly a smooth and luxurious feel. Let's face it, we all need a little help in this area to combat the effects of the elements on our skin. 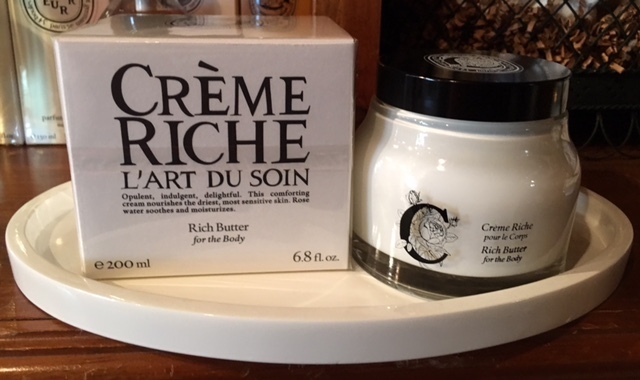 Creme Riche is the perfect antidote with moisturizing rose water for dry, sensitive skin. Rich Butter for the Body $90. We have the full collection of skin care products here at the Boutique with samples for you to try. You will fall in love with them all as we did. Lait Frais cream, for example, is infused with Orange Blossom to soften and moisturize your body. 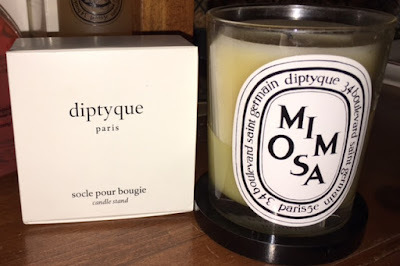 Along with the fabulous bath and body line and the ever-popular candle assortment, Diptyque gives us some accessories to help us enjoy their products. - A candle stand to keep the heat of the burning candle from marring your furniture. 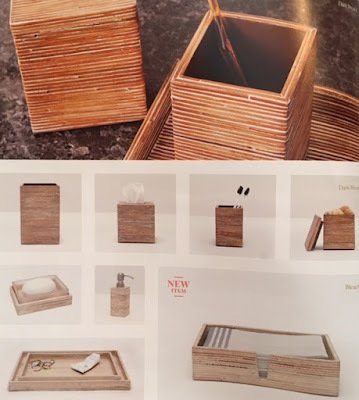 - A candle lid to keep the candle's surface free from detritis. - A candle snuffer to extinguish the candle's flame. - A wick trimmer to keep the wick short and eliminate soot from dirtying the candle's surface. 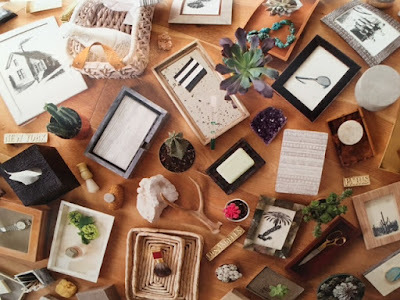 By the way, these all make terrific presents with or without an accompanying candle. 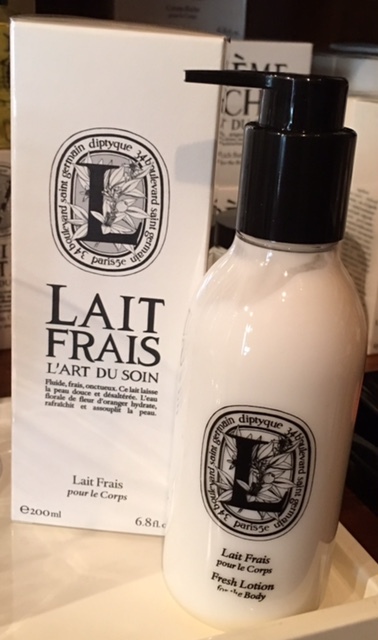 A relatively new product for Diptyque is their version of a room diffuser. 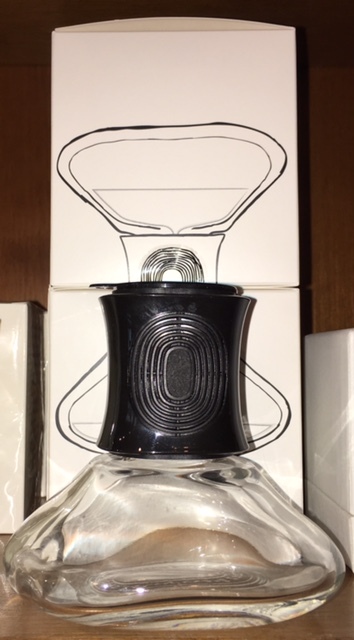 Instead of reeds to soak up the fragrant liquid, they have a barbell shaped bottle. The liquid slowly drips from one bottle to the other and the essence wafts through a screen between the two. 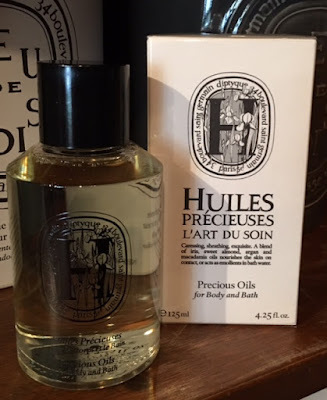 Skin and hair oils have long been popular in France, and now's your chance to find out why. The Huiles Precieuses is a blend of Iris, Sweet Almond, Argan and Macadamia Oils. Sounds good enought to eat, but please don't ! This oil is meant to soak into your skin and may be used directly or added to your bath water. The other oil, Voile Satin, is what they call a dry oil. 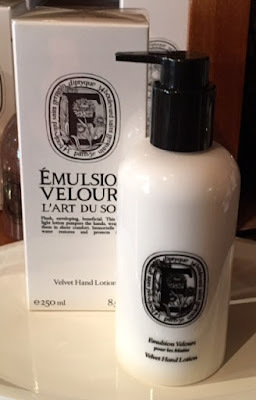 It can be applied to the skin or the hair to add smoothness, luster and shine. Another superb idea that comes form the creative minds of Diptyque is the blending of fragrance. In nature, there is rarely an aroma that is purely one scent, therefore the idea is to combine smells that compliment and enhance each other to create a layered bouquet. 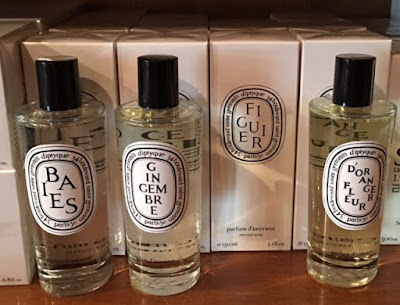 The company has prepackaged a few of these recommended combinations such as Baies (berries), Figuier (fig) and Roses. Burning these in unison will create a complex and sophisticated blend. 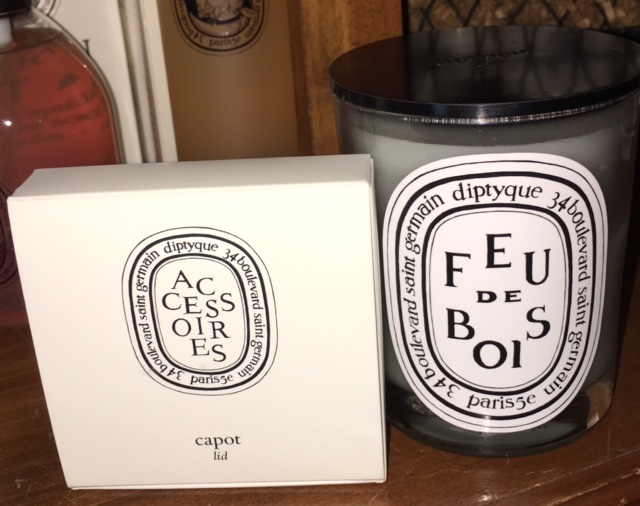 Set of mini candles $90. Stop by for a sniff and please, do try our cream and oil samples. 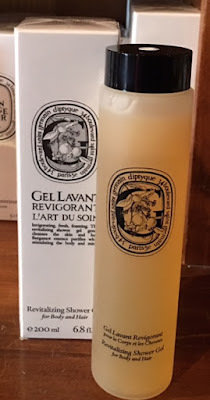 This has been a long, hot summer and your skin and your hair will thank you for some pampering.